Not that it’s ever pleasant to find out you’ve got a broken dishwasher, but in terms of timing, it’s like, come on. 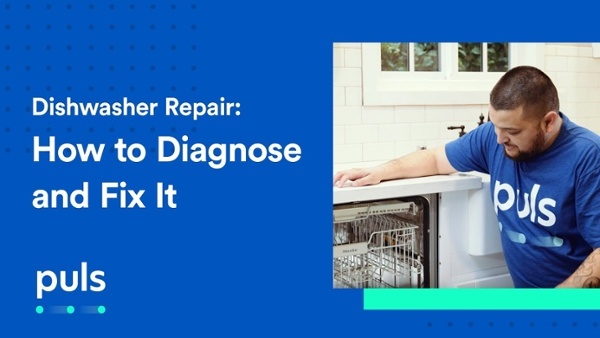 But no worries – this dishwasher troubleshooting guide will save you some time, hassle, and hopefully a little bit of cash. In fact, you can have your broken dishwasher up and running again in even less time than it would take to unload all those grimy dishes and wash them by hand. 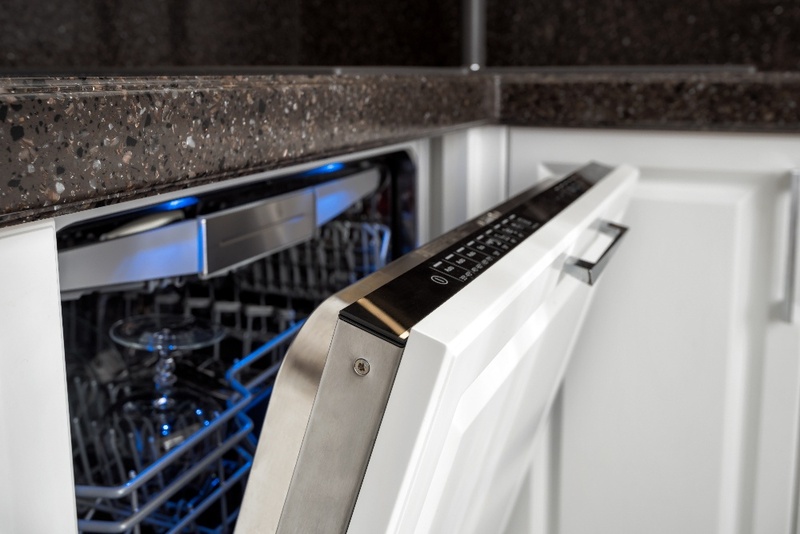 If your dishwasher is closed and latched, the lights come on, but the water doesn’t run and the dishwasher won’t start, the first thing you should check is the floating water sensor. 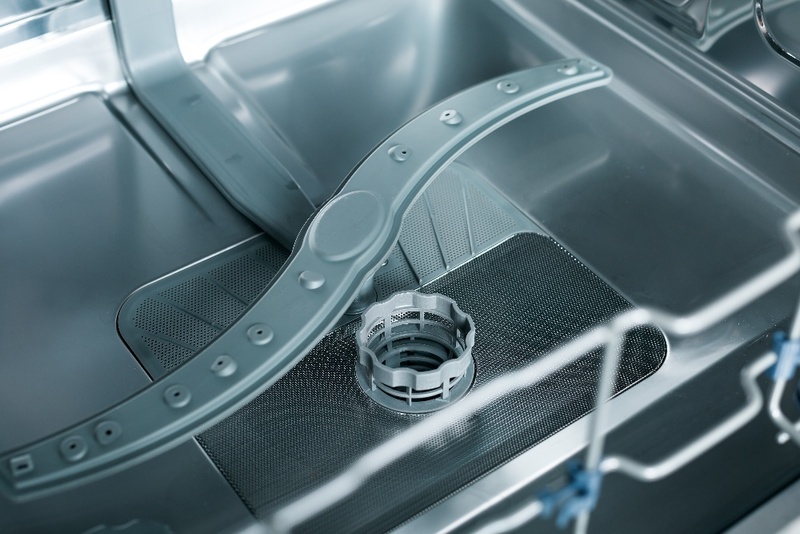 You’ll need to roll the bottom rack forward to access the floor of the dishwasher – no need to remove it completely – and look for a cone-shaped plastic piece that moves up and down. This usually rises with the water level as the dishwasher fills up, to signal when enough water is inside so it doesn’t overflow. Sometimes some silverware or other debris can get lodged beneath the sensor, raising it up and causing the dishwasher to think it’s full of water – and that’s why it won’t start running. Just pull the silverware or utensil out, or clear the debris, and the float will go back down to normal position. Then your dishwasher can start as normal. If you’ve already checked that the power is connected and that your circuit breaker hasn’t blown a fuse, it’s a good idea to have a look at the dishwasher door latch. The latch itself, located at the top front of your dishwasher’s interior, could be bent out of shape and therefore not engaging properly – a simple tweak with a set of needle nose pliers can set that right. But it’s also possible that the sensor inside the door latch assembly may not be working properly, even if the dishwasher door does click shut. In effect, your dishwasher would think that the door is still open. You can test the continuity of the door latch assembly with a multimeter, and if it registers zero, you can purchase a new assembly and replace it. For some dishwasher models, the Start/Reset functions use the same button. If you press Start more than once, it could reset the dishwasher. If you see that the lights are on, but the dishwasher won’t start, try pressing the Start/Reset button again and see if the cycle resumes. For buggy dishwasher behavior, you can consult the user guide on how to perform a manual reset. The dishwasher frequently won’t start if it was interrupted in the middle of a previous cycle. You can also try unplugging the dishwasher for a minute or so, and then plugging it back in, which also resets it. 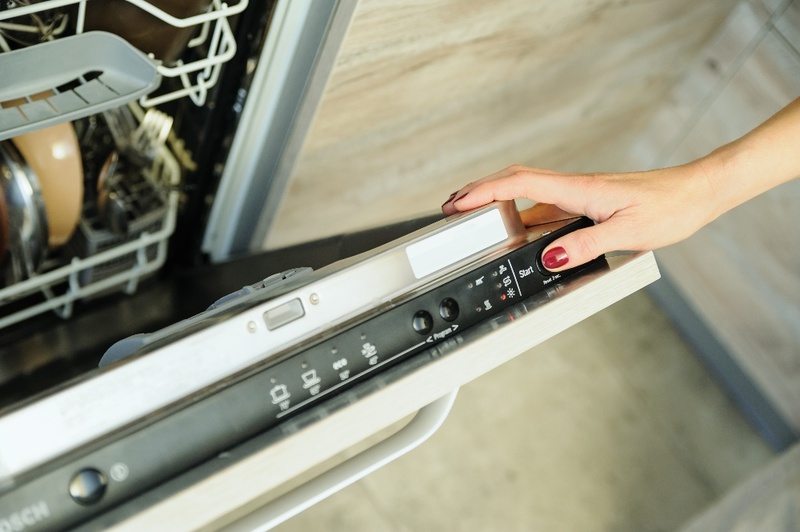 If you’ve tried the fixes in our dishwasher troubleshooting guide and your dishwasher still isn’t working, it’s time to call in the professionals. It’s super easy: simply hop online to book a time slot, and a certified Puls technician will be at your door in no time – often as soon as the very same day. To make things even easier, we also offer a thorough in-home inspection for just $79, which is waived entirely if you move forward with our recommended repair service. This will help you get an idea of the issue at hand and how much it will cost, before committing to anything. And, of course, we stand behind our technicians and the great work that they do. That’s why on all refrigerator repairs we offer a 90-day guarantee on parts and labor, to give you total peace of mind. For a limited time only, enjoy $20 off when you book online with the code: SAVE20. You’ve got no time to lose - get started now to have your fridge working like new by tonight.